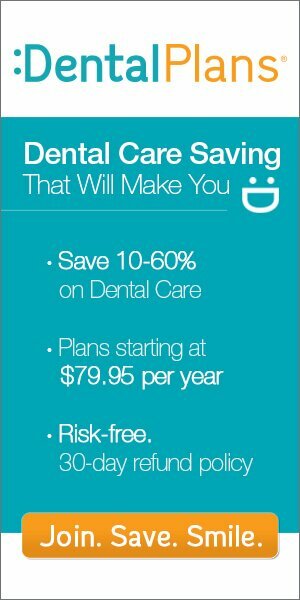 Tips For Finding Dental Care That’s Both Reputable And Affordable – On Any Budget! There has been an incredible surge of new dental treatments in the past few years. These treatments range from having teeth aligned to having highly precise whitening solutions done. Whether you credit the new interest in dental care to that of the specialization that it has been given by new reality television programs or if people are just becoming more conscience of what is happening with their smile, the fact is that there are people that want to look great starting with their smile. What’s more is that many of the nation’s leading dental care providers are finding new technologies that can help them to better the care that they provide to their patients. No longer do you have to go in for a deep cleaning and hope that your teeth will be a few shades whiter than they were. Now, you can have highly intense whitening procedures done that claim to be able to remove years of coffee, tea and smoking abuse. That would make just about anyone happy. On the other hand, there are some procedures that have actually had the technology around for several years. While they were used when they could be, patients are only now beginning to really see the options that they have in dental care regarding them. The surge in these new dental treatments comes from massive marketing campaigns that have been designed to get patients back into the dentist’s chair. No matter why these new dental treatments are being used, they are being used heavily by people from all walks of life. So, what are some of them? The cosmetic dentistry field is one of the most heavily benefited areas of dental care today. People are coming in with all types of deformed and misshapen teeth and having a complete “smile” makeover, as they are so fondly called today. One option that is heavily used is that of the porcelain veneer. Some of the highest quality veneers are being used. One of the most popular is that of Lumineers. This product is unlike others because it is added right to the existing tooth, which is unlike the old products which had to have the tooth structures completely removed to be effective. What’s more is that these new dental treatments are as thin as a contact lens. It’s safe, it’s non invasive and your doctor can even remove them at a later time if necessary. Another dental procedure that is getting a lot of attention these days is the Zoom whitening procedure. Although this process has been used for some time, it has gotten an upgrade of sorts. The newest procedures allow for a better quality result but also provide for less sensitivity that some patients experienced with the previous products. In addition, they are even faster to use then older products, making them even more attractive. There is no doubt that these new dental treatments can be a bit on the expensive side. In fact, they are often not covered by dental insurance coverage because they are considered to be that of cosmetic dentistry rather than something that your body requires to be healthy. But, some discount dental plans do offer the benefits of these products at a reduced cost. Take a few minutes to understanding the difference of dental discount plans vs dental insurance. You may not have all of the coverage that you should have. Are you looking to update your smile? For those that are watching their favorite makeover television programs and seeing the amazing results that those dentists provide to their patients, realize that this can be something that you can have done too. The technology is available and in many larger cities around the country, it is readily available to service your needs. If it is time for a new smile, consider the various new dental treatments that are available on the market to enable you to achieve the smile you are after. For more information, or to find a participating dentist near you, enter your zip code in the box at the top of the page. You can start seeing a dentist within two business days!